Hi Friends! This is a BIG week for our family. Our baby girl will be graduating from college in exactly one week. More about that on another day! 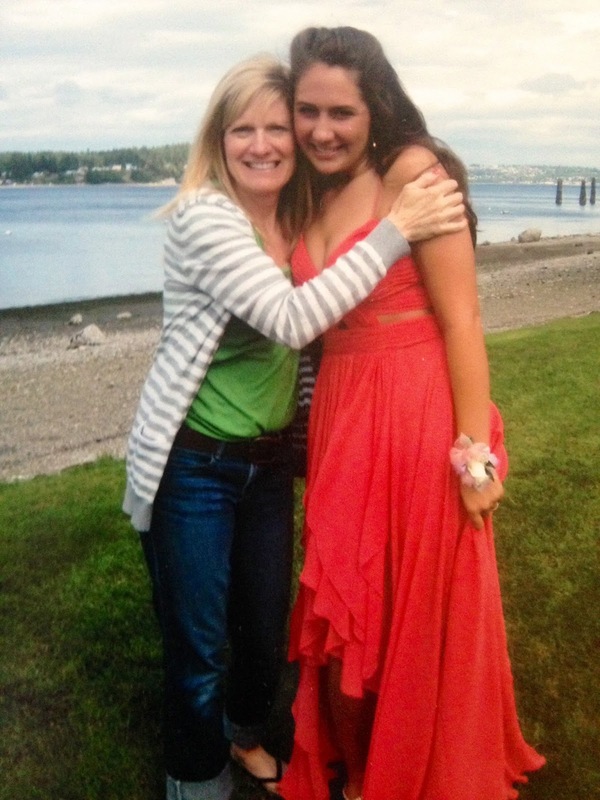 It seems like just yesterday we were posing for her high school Senior prom! I love discovering something fun and random on a drive. On the way home from our Women's retreat earlier this month, I spotted something colorful out my window. Luckily my friends in the car are also spontaneous, so we drove closer to see what was happening. 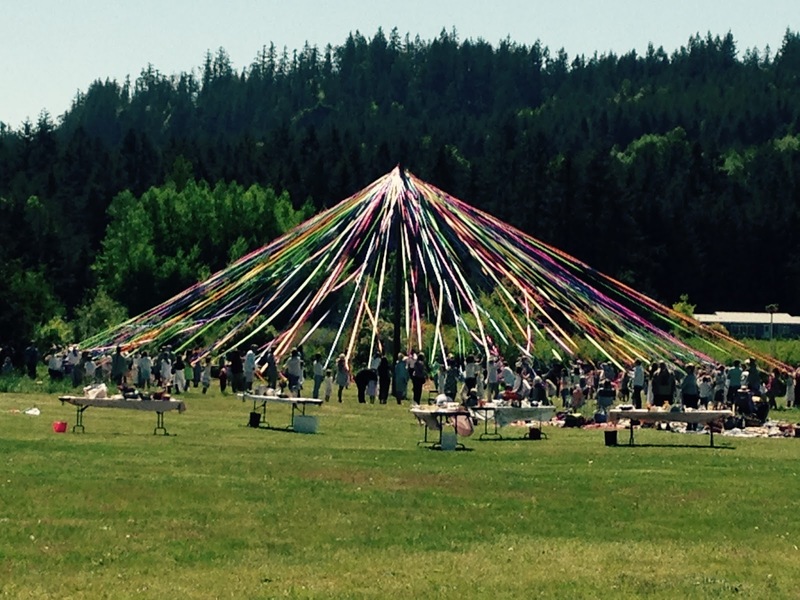 A small private school was celebrating "May Day" with an old-fashioned Maypole Dance. It's "roots" are definitely not Christian, but so pretty and festive! These families were having fun and also enjoying a pot-luck picnic lunch. I was reminded of a time when I was a little girl and my teacher had us do a Maypole dance for a program. That was a LONG time ago! I love being a part of the MOPS ministry at my church. If you know me, you know I've been a Mops mentor for years. When I moved to the Northwest back in '97 I was involved as a Mom and enjoyed being a DGL (discussion group leader) and then on "Core" as the DGL coordinator. I adore the relationships I have with the Mamas who range in age from 20's-40's, my fellow mentor moms who are all my dear friends, and then of course there are the babies, toddlers and preschoolers... We gather twice a month at church during the school year to hear speakers that talk about relevant subjects and occasionally do hands-on projects. I'm so impressed by how talented and smart these young women are and the variety of careers they have, or are taking a little break from, while their children are young. There is no right way to "do" motherhood! "MOPS International encourages and equips moms of young children to realize their potential as mothers, women and leaders, in relationship with Jesus, and in partnership with the local church. 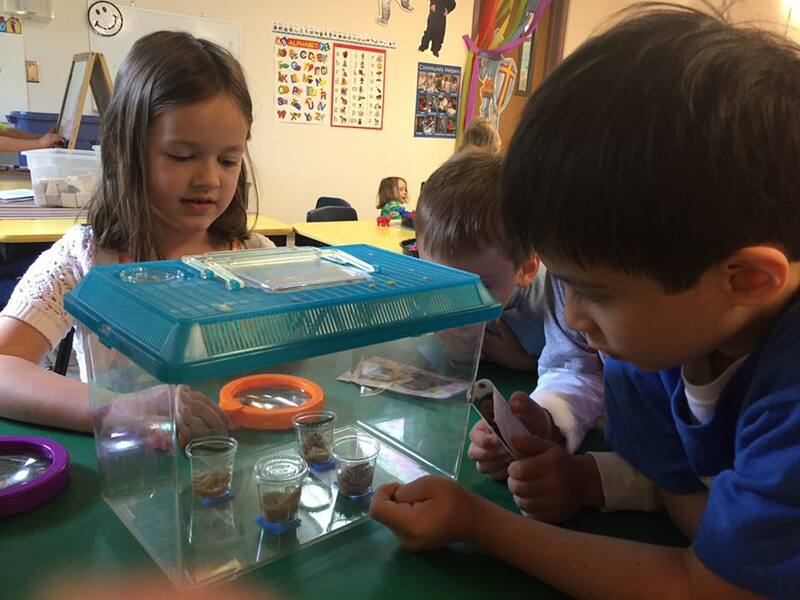 If you want to learn more about MOPS, check out the link at Mops.org. I love that I have not one, but two part-time jobs that are fun! I get to enjoy the retail world at Charlie Barnes, and also substitute teach preschool at my church. Both allow me to hang out with little cuties and wonderful adults. I love the "app" First 5 from Proverbs 31. It's free and it's a wonderful way to spend the first five minutes of your day focusing on God. There's a great wrap-up video every weekend too. Right now we're in ACTS and I love that our church is in ACTS too. Double-dosing can be a good thing! 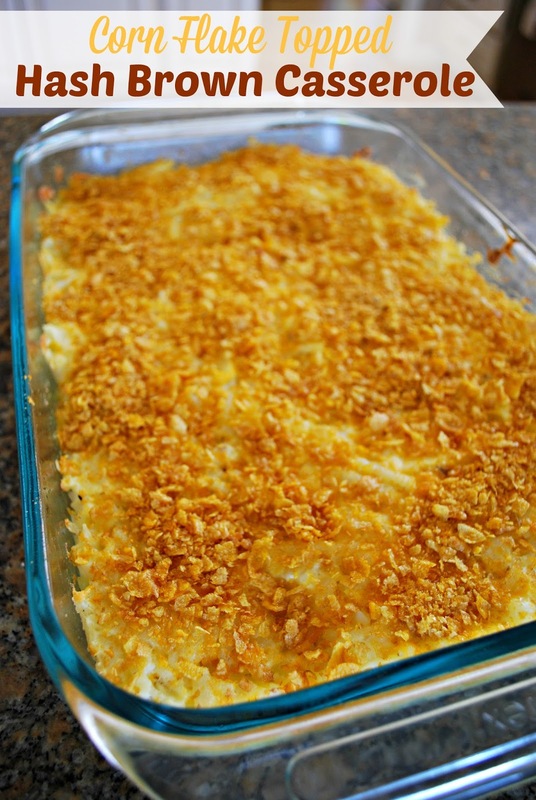 This Potluck Recipe is a winner: When I need to bring something hot and yummy to a breakfast/brunch, my go-to is always this hash brown casserole. 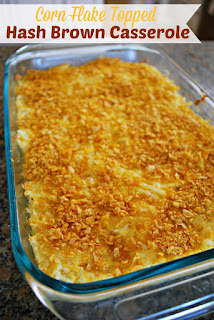 It's easy and always polished off at Mops gatherings. Our rose bushes have started blooming! Thanks to previous owners, we have 12 rose bushes. The first rose of the season is one of my favorite colors and is SO fragrant! Since I love having cut flowers in the house, I can save a bit of grocery money when our own "free" flowers start blooming. Even though I often wish my daughters and sons were still under our roof, I'm thrilled that they are all thriving!